Dr Vahini Reddy was born in Hyderabad. She has done her schooling from Hyderabad.S he is a self-made woman who has faced several injustices in life. She has been a victim of domestic violence and was married at a very early stage. She overcame all those problems and freed herself from the abuse and started her life once again as a single mother. Today she lives alone with her son who is her only family. After knowing her journey, one can understand that she was and is a person of integrity and fights for justice. She not only questioned the wrongdoings right from the beginning but also stood for those who need support. She has done her schooling from Hyderabad and after marriage, she continued her education in Science and Psychology. She gives credit to her success to education and the courage she held in her that helped her design her life. After completing her Psychology studies in Counseling Psychology, Human Behavior and in Business Success Psychology, she has developed an interest in Economics. She is now focused on acquiring optimal knowledge in economics & negotiations in the business world. Dr Vahini Reddy is considered as a brilliant Team supporter, visionary leader and best observer and excellent talent management woman in the business world. While she was supporting others in her personal life, she kept on investing time and earnings on academics and self-development for herself and her son. As on today, she has supported not only women in need but also single mothers to establish themselves as entrepreneurs and their children to continue their education by providing scholarships and also nurture them and stood with them whenever they need guidance. She has been Featured as one among the top “25 Most Influential Women in India” in The CEO Magazine for business strategies. What is surprising is that Dr Vahini does all of this without taking any donations. She runs her organization called Evolve Excellence HR Services Pvt. Ltd. which is acts as progress partners to organizations by revamping subsided organizations; provide end to end services in organization culture change, executive search along with Leadership & Behavior training. Evolve Excellence HR Services Pvt. Ltd. also provides services such as the psychometric test for schools and college students, train them on confidence building, personality makeover and they focus on building competencies in human capital based on 2020 market analysis. Today they have clients from Delhi, Ahmadabad, Rajasthan, Pune, Bangalore, Hyderabad, Qatar, Malaysia, Europe and now the USA. Dr Vahini’s focus is on what she can bring to the table to build not only profits to the company, also the brand building and market value to add with. She works hard and smart, mastered multi-source income skills by investing in multiple tasks. She is always inspiring others with her actions and vision she has for self, family and society. And she somehow seems to have time to rope in her time for all these areas. Dr Vahini started her company with zero monetary investment, experienced up and downs in her business but she made her blue ocean in the marketplace. As she is known for her wisdom on organization building and human behaviour analysis with crisp interventions. Dr Vahini is interviewed by experts who work for British Counsel UK in association with Oxford University to take her views on how to build the education system in the world. She is now working on a system that allows executives to work remotely where employees can use their competencies and time and earn accordingly. 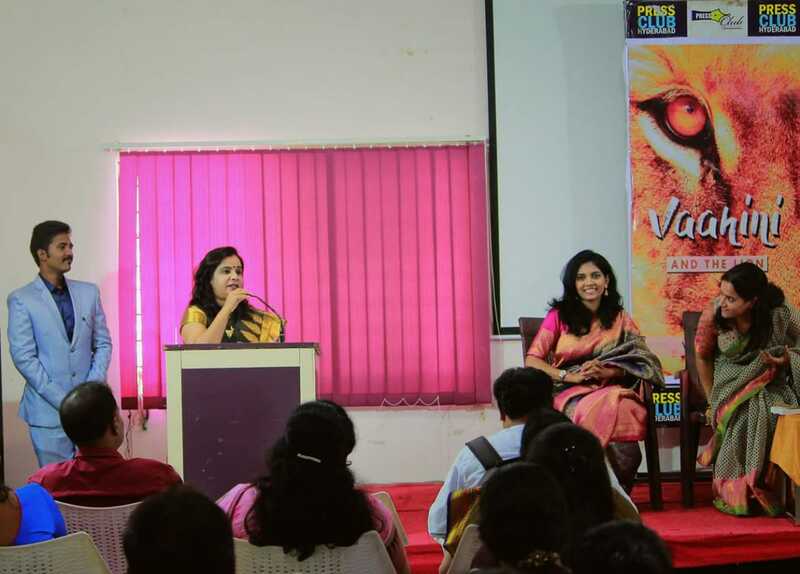 “Never compromise on quality and never give up on your dreams is her message to young and aspiring entrepreneurs,” said Dr Vahini Reddy. She says there is a solid way to succeed in the long run, that is, to build a pyramid kind of structure. This requires high commitment without expecting immediate fruits. Because the ultimate goal is to touch as many lives as possible, this company has built ninety plus training products under its umbrella. Starting their behavioural training programmers to high potential nurturing at a mid-management level to cultivating better leadership at corporate segments and academics leader to parenting skills at education segments. Also, they have special certification programmers on Entrepreneur coaching and individuals personal balance programmer. Evolve Excellence Pvt. Ltd. fulfils this mission by constant research, learning and development in human and Business psychology, building effective strategies, continual communications and bringing up new ingenuity to support corporate sectors and individuals, as all change occurs at an individual level. Evolve Excellence Pvt. Ltd. through their researched modules aims to create better tools and meaningful learning material, easy to apply concepts that impact on personal, organization and social environments. She says, “We try to take up more projects to generate more revenues to support needier”. No matter how the market fluctuates or even when the business doesn’t do well, it seems that her service to women and youth would be part of her routine. 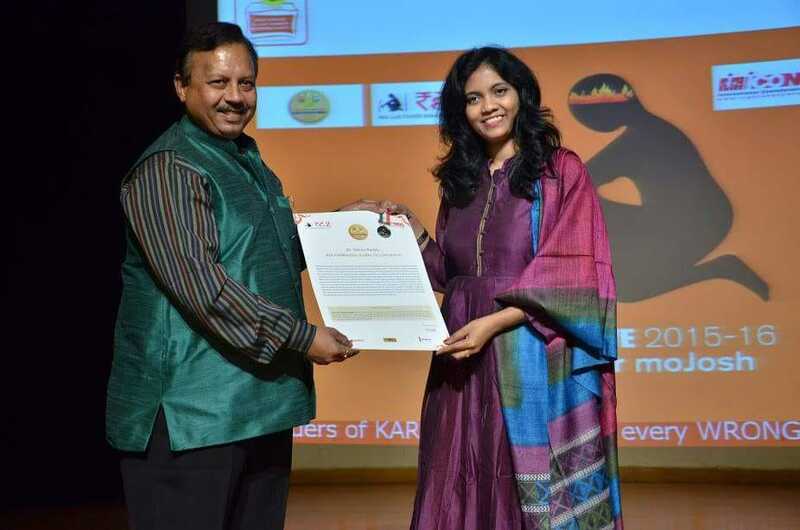 Dr Vahini Reddy is awarded twice with Karmaveera Chakra (bronze & silver) award for her selfless service to youth and women. She also received Best Training Company of the year Global Award by World Education Congress – 2017. People who meet her say’s she could be a great public servant who understands the power of bringing awareness to masses and does justice to all. Her life is penned by famous British Author Mr Ford as the most Inspirational Woman with extreme Resilience in 2015 and taken as a case study in United Nations Entrepreneur group. 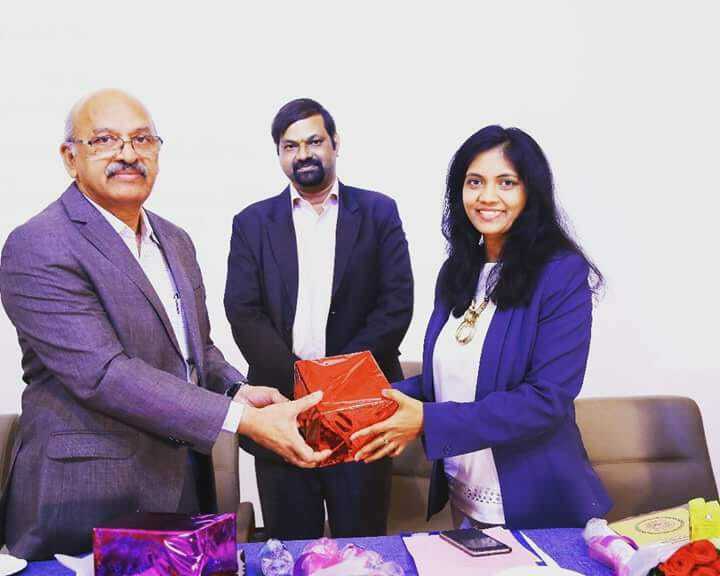 Together Mr Ford and Dr Vahini penned her journey into a book called “Vaahini and THE LION” which is recently launched in India in June 2018. Alongside, her foundation has initiated a Global campaign called “THE LIONESS” which has got incredible responses in hundreds of numbers in just a few weeks’ time. The aim of this campaign is to strengthened sisterhood, take a pledge to stand for self and others and also recognize those women who are already been supporting t other women. She is quoted as “Inspiring Life of India” by Chicago magazine and as “Thought Leader” by Leadership Magazine. While working on her enterprise, Dr Vahini Reddy also runs her non-government organization, VR Oneness Foundation which supports single parents, women and youth. The aim of VR Oneness foundation is to build a shelter home for single parents and build them as entrepreneurs. Dr Vahini is a rare combination of Business economics, psychology, services to others. A courageous and Compassionate lady who don’t mind working long hours to achieve her dream and doesn’t mind voicing out to stand for justice. She is a true Inspiration to many who get suppressed and give up on life or lose hope and faith. We not only get inspired by learning about your life journey, we also want you to know that we are highly motivated by your dedication, courage and commitment. And we wish you all the best for your future endeavour – Keep Inspiring! India's First Biofuel Flight Might take off from Dehradun to Delhi! India's Traffic Authorities Might be Going Digital | No Need to Carry Hard Documents, E-Documents will work fine! Asian Games 2018 : Sakshi & Vignesh to Lead Indian Women Wrestlers!